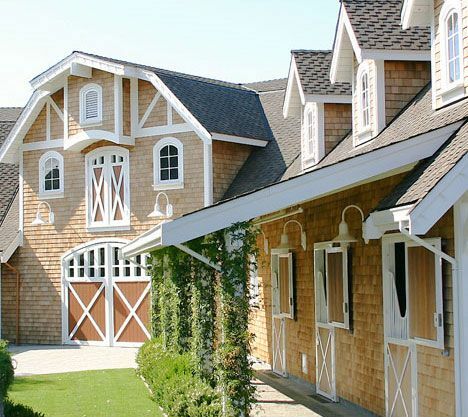 I envisioned my dream barn before I even thought about what my dream house would be like. Blame it on being a young horse crazy girl, spending my time out of the barn with my Breyer horses and miniature stables. Yes, I was also guilty of setting up jump courses in my living room for horseless horse shows with my friends. I remember my mother being less than pleased as she watched her beautiful furniture being transformed into jump standards and dressage courts. For riders, the barn is a sanctuary. It's a second home, a place where we can relish in the time with our horses. It's our yoga studio. Here are some of the dreamiest barns I've come across. Enjoy!